It’s nice to come across a great exhibition that also comes with an equally clever exhibition brochure. 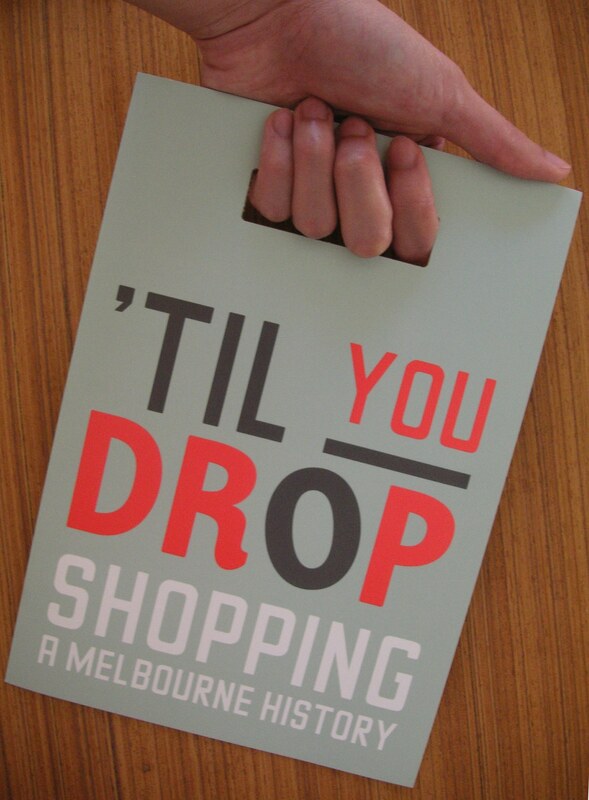 ‘Til You Drop: Shopping A Melbourne History currently showing at the State Library of Victoria has an accompanying brochure that shows its designers really tried to tie up the theme of shopping with their shopping bag inspired, brochure-with-a-handle design. Creative Director Alvin Chia only wished that they had taken one step further by using the brown recycled paper of generic shopping paper bags to print the brochure. 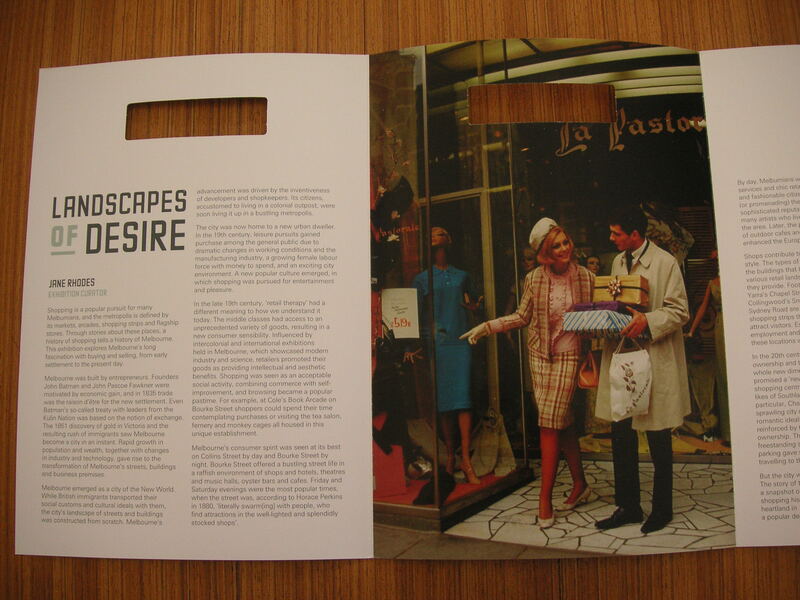 Then it becomes a brochure that looks like you’ve done all the shopping, without you feeling any of the guilt.